REDSTONE ARSENAL, Ala. (Dec. 13, 2018) - The U.S. Army Research, Development, and Engineering Command, Aviation & Missile Center, locally known as AMRDEC, hosted the Aviation & Missile Technology Consortium Dec. 3-4 at the Von Braun Center in Huntsville, Ala. 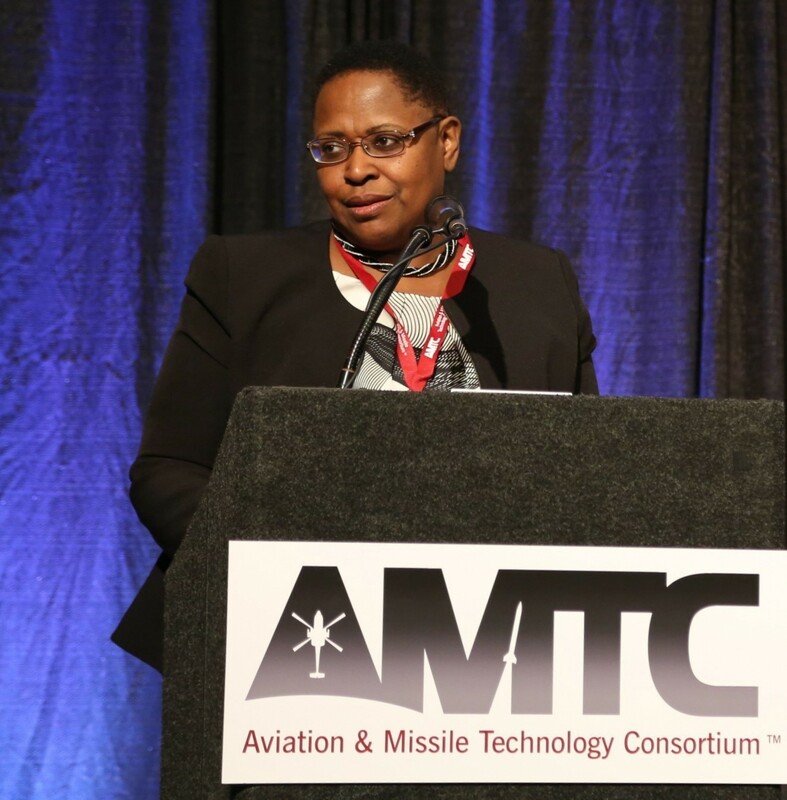 The AMTC was established in an effort to create working relationships with industry and academia partners through an Other Transaction Authority to fill a need in the aviation and missile community. An OTA model allows government agencies to more openly communicate with industry and academia in an effort to obtain new technology solutions, since it is not subject to some of the regulations that apply to Federal Acquisition Regulation-based acquisitions. 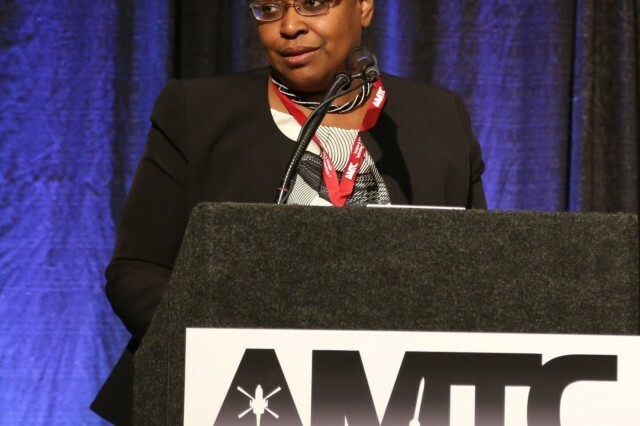 "We needed a way to be able to move forward with experimentation and prototyping," said Dr. Juanita M. Christensen, Aviation & Missile Center executive director and keynote speaker. "We needed a way to access our industry partners in an effective manner... to allow you to understand our challenges. That's where we were driving [with] this OTA, and I just think it's a great opportunity here for us as a team." Christensen spoke on the center's efforts and how they align with the Army's top priorities. "A lot of the focus for [Army Futures Command] as well as Army Materiel Command has to do with our output. Not just looking at technology, but producing outputs, making sure that they're viable, making sure that we have transitions partners, and that's where you will play in this with us," she said. Over 400 people from industry and government organizations attended the inaugural event. The Aviation & Missile Center is part of the U.S. Army Research, Development and Engineering Command, which has the mission to provide innovative research, development and engineering to produce capabilities that provide decisive overmatch to the Army against the complexities of the current and future operating environments in support of the joint Warfighter and the nation. RDECOM is a major subordinate command of the U.S. Army Materiel Command.